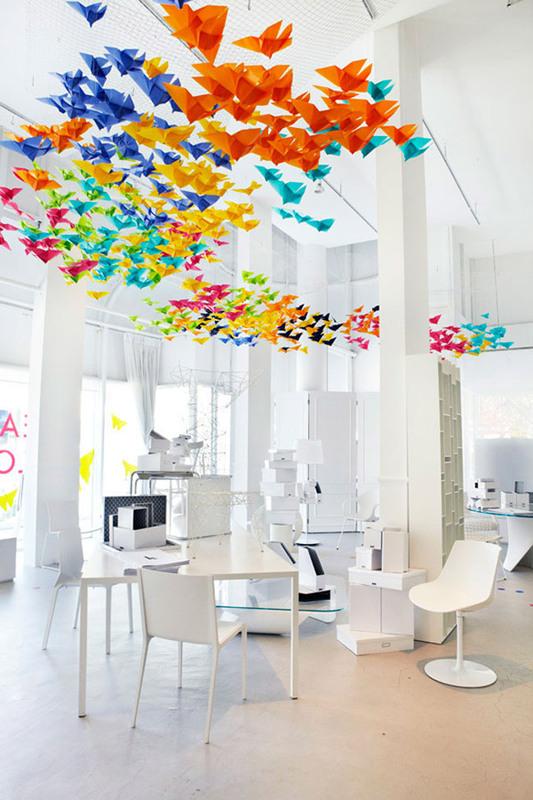 Origami butterlies flying through the air. They look magical in this space, don't you think? They were created for the Saturday InDesign trade event which started in Sydney in 2003 and is now held in Singapore as well. The idea of the event is for showrooms to open their doors to the trade on a Saturday. 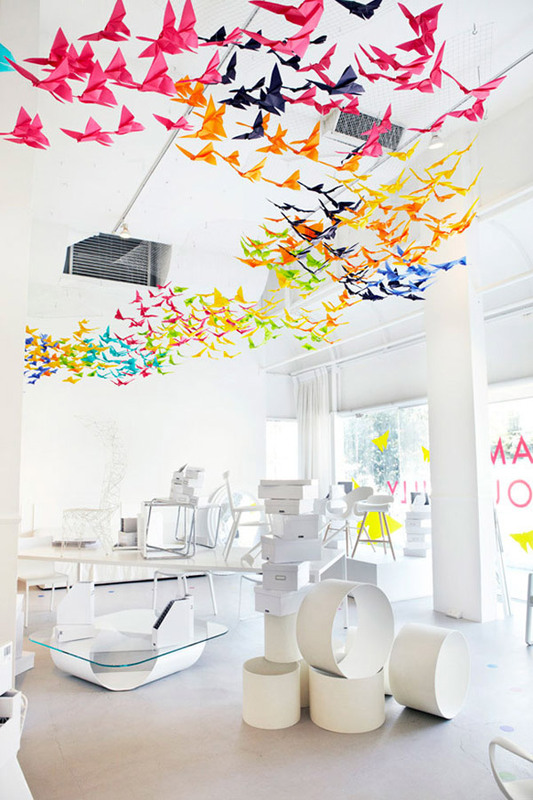 Many of the showrooms are wonderfully decorated and styled for the event. It is lots of fun. 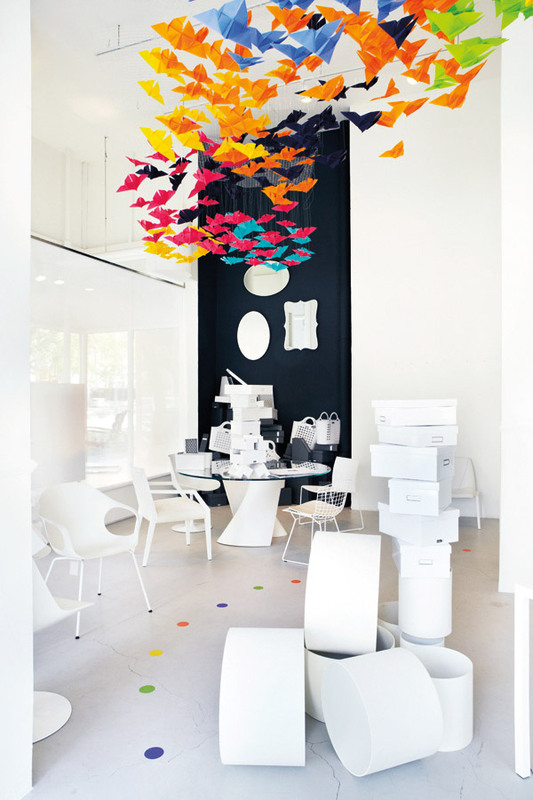 Dream Interiors was one showroom that participated in Singapore and Elixr were approached to design the concept - flying butterflies made of translucent paper so the light can pass through. Gorgeous. I'm bringing this to you as a fun idea for your home as I think these butterflies would look lovely decorated in an all white or neutral kids room, nursery, study room etc or as an idea for styling a party. It looks as though a fine grid and clear string is used to attached each butterfly to the ceiling. If you have the patience to make all of these the results are lovely. What do you think? 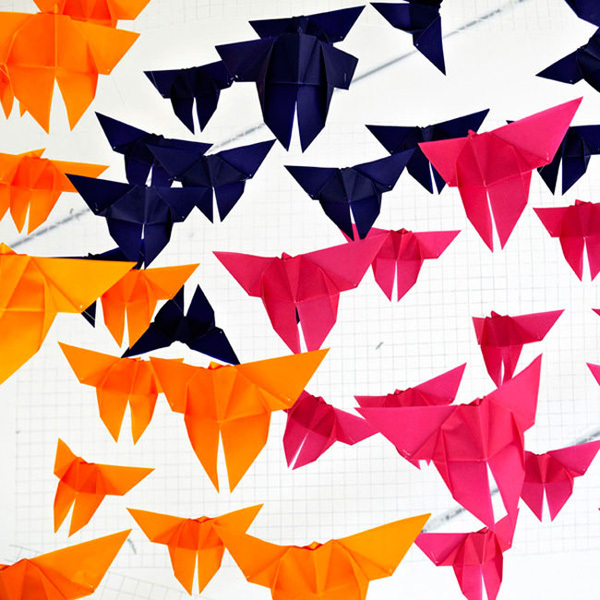 Have you ever tried to make origami? Here's a tutorial I found for making similar butterflies.